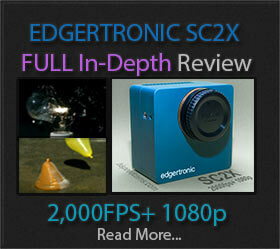 Double Your Camera Slow Motion Frame Rate For Real! 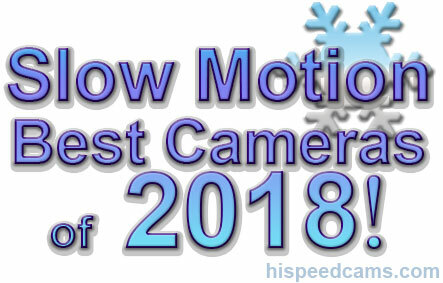 Ever wondered how super slow motion in the past was capable of multi-thousand fps performance with just film exposures? Well, they used customized camera rigs that combined multiple rolls of films, mirrors, and synch cables to essentially get a result beyond what the limitations of the equipment forced upon the shooter. Nikon Z7 and Z6 Mirrorless Have 120fps Slow Motion! The slumbering Nikon has awakened to the mirrorless present and future and has shown their cards in a very strong but not class-leading mirrorless product line. The Nikon Z7 & Z6 are nearly identical bodies with changes in the sensor and AF. The more expensive and higher resolution Z7 screams pixels with a 45.7MP Full Frame sensor ISO 64–25600 range which should be a direct replacement for D850 users. The other Z6 is a better low light camera geared more at wedding shooters and videographers at 24.5MP which should produce outstanding low light ISO 50–204800 with ISO expansion. Slow Dance by Wonder Machines Makes Real Time Slow Motion Effect! In what may be described as a practical home application of a stroboscope, the Slow Dance frame by Wonder Machines makes it possible to see the deformation of objects without motion blur with your naked eye and or a typical camera. The Picture frame makes extreme vibrations on deformable lite objects i.e. a flower or bird feather and then uses a synced led light to match the deformation wave period. In essence, creating a snapshot of the motion in real time while your brain is processing the data to create a fluid almost magical effect. Panasonic GH5 & GH5s Get Big Price Drops! 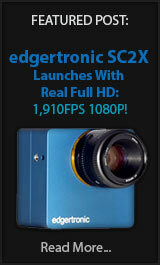 Panasonic has been known on having deals or rebates on cameras way before replacements are set to be unveiled. In that same manner, the latest price cuts or instant savings on the GH5 and GH5s make it a much easier proposition to get one of these cameras that shoots in the case of the GH5 up to 180fps 1080p and on the GH5s up to 240fps 1080p. In a previous post, we showed that the GH5s is actually less detailed in 1080p slow motion than the regular GH5s which suffers from more aliasing and moire artifacts.